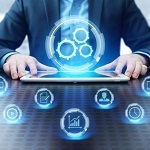 Veterans Affairs Secretary David Shulkin has said an electronic health record interoperability review conducted by Mitre resulted in 51 recommendations that are now being integrated into a contract that VA intends to award to Cerner, FCW reported Friday. “We’ve said to Cerner that we are not going to sign a contract that’s going to allow proprietary protection and information blocking to continue,” Shulkin, a 2018 Wash100 recipient, told a House Appropriations subcommittee at a recent hearing. 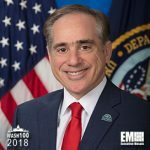 Shulkin announced in June 2017 that VA plans to issue a direct solicitation to Cerner to implement the same EHR system – MHS Genesis – that the Defense Department currently deploys. VA amended its contracting documents posted on FedBizOpps to incorporate new requirements and a department source told the publication that such requirements are based on Mitre’s review. The department called on hospital systems to facilitate health data sharing through the use of open application programming interfaces to advance interoperability.